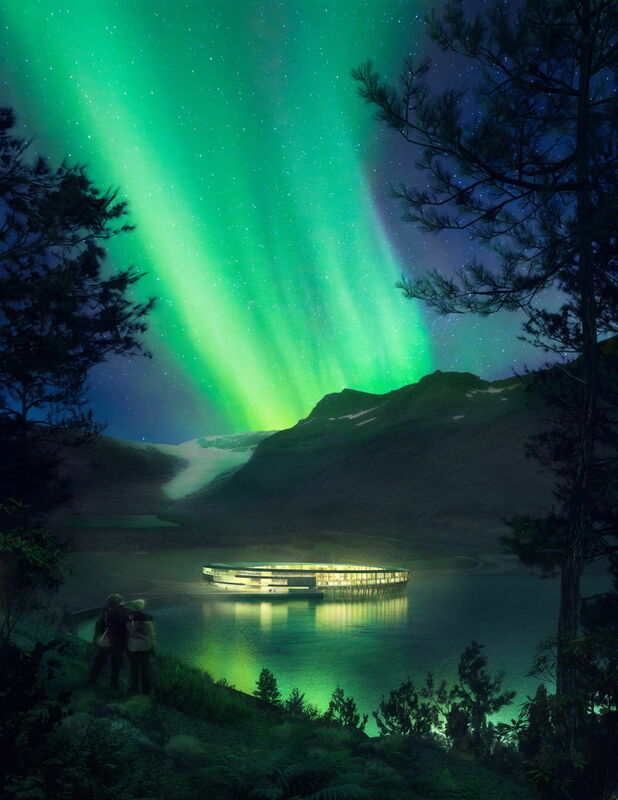 Snøhetta’s new project will be the most environmental friendly hotel ever built, and it looks like a space station—which is awesome, naturally. 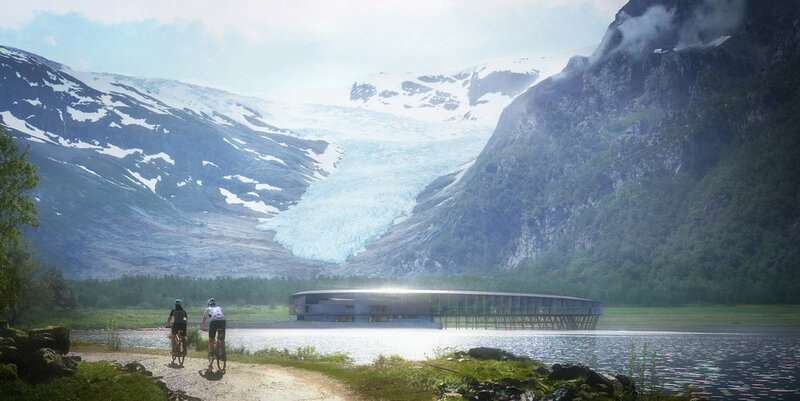 Titled Svart (black)—a reference to its location next to Svartisen-breen (The Black Ice Glacier), a popular tourist attraction in the far north of Norway—the hotel will be the first hotel ever built after the Powerhouse standard. In addition to producing its own energy, the hotel will consume 85% less energy than a modern hotel a year. «To build in such a precious environment comes with clear demands to us as architects. We must preserve the natural beauty of the surroundings, as well as protect the fauna and flora. It is extremely important to us that Svart leaves a minimal footprint in the clean, nordic nature,» Snøhetta founder and partner, Kjetil Trædal Thorsen, states in a press release. In order to meet the Powerhouse standard, comprehensive mapping of the sun cycles has been carefully considered and the findings have been essential for the circular design. Both its circular form and the different spaces—hotel rooms, restaurants and public spaces—are strategically designed and positioned in order to use and harvest as much of the sun’s natural energy as possible. The structure, which spans from the foot of Almifjellet (Mount Almi) into the fjord, is inspired by old, nordic building traditions. 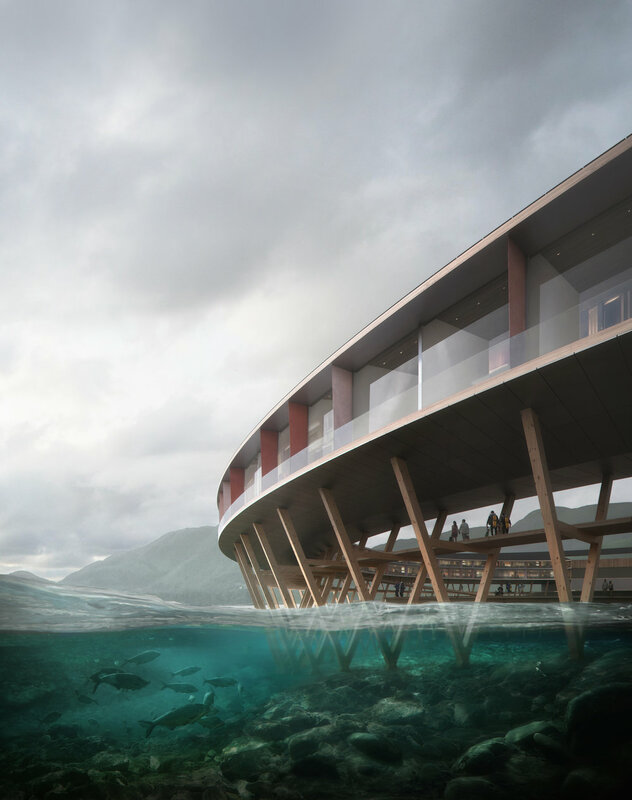 Much like the traditional fishing huts along the Norwegian coast, the Hotel will stand on wooden poles which reach several metres below sea level. In addition to contributing to the hotel’s minimal footprint, the poles will function as a marina. Materials like concrete og steel has been heavily reduced, and both the inner structure and facade will be built with wood.